In 2017 exports of French furniture amounted to around Eur 2 billion (over 2/3 of which are destined to other European markets, first of all Germany), with a double digit increase between 2012 and 2017. 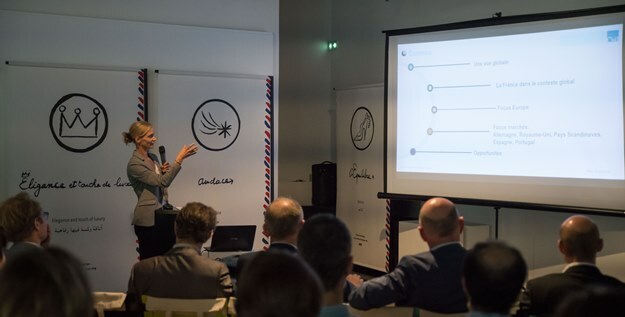 At the annual Export Meeting 2018 (Rencontres de l’Export) of GEM (Group of French furniture exporters) held in Paris on June 14th, Sylvia Weichenberger, CSIL Senior Partner, presented the main results of CSIL furniture sector analysis with a special focus on opportunities for French exporters in Europe. Major international changes and future perspectives of markets like Germany, UK, Scandinavian countries, Spain and Portugal were outlined. The presentation further analyzed structural changes in the European furniture distribution system, the e-commerce and prospects for the Contract segment.